Good news! 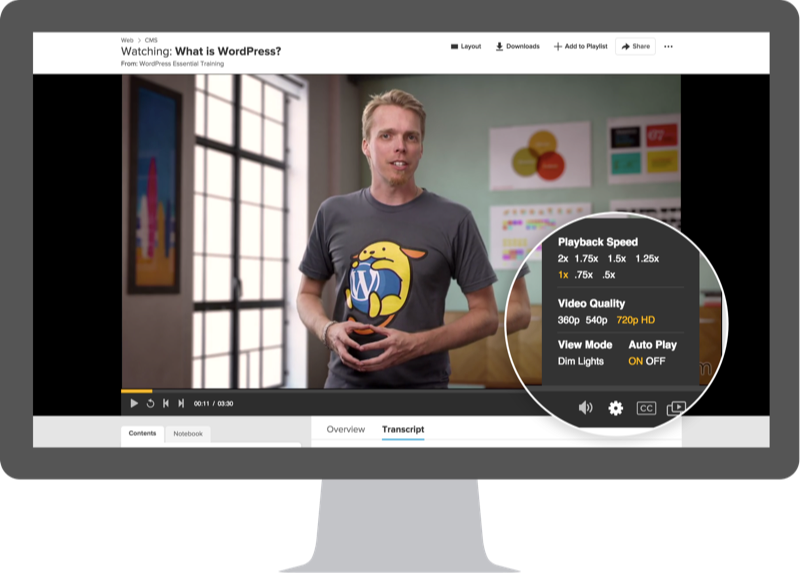 We are rolling out a fresh, new Lynda.com course page that we think you’ll love. It was designed to make your online learning experience easier and more productive. 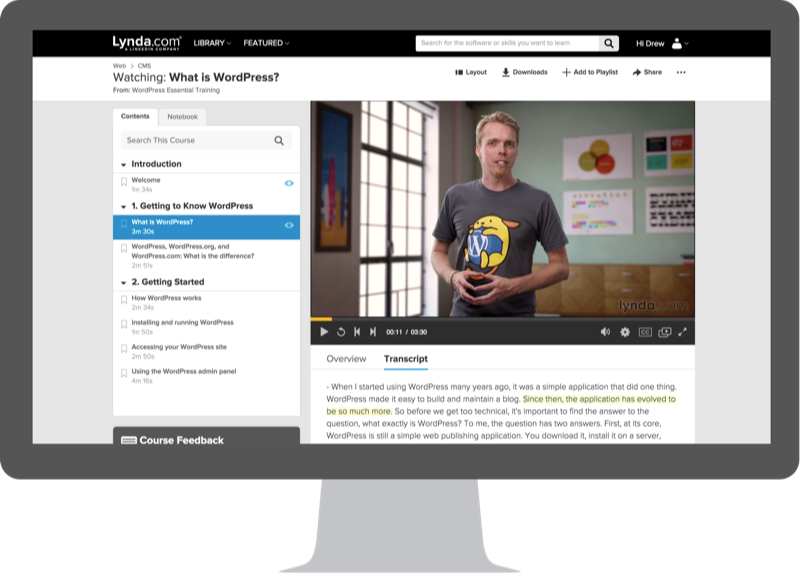 With over 4,200 courses on Lynda.com, the redesigned course page will help you get where you want to go faster and more efficiently. The new player is optimized for faster playback and easier access to controls. 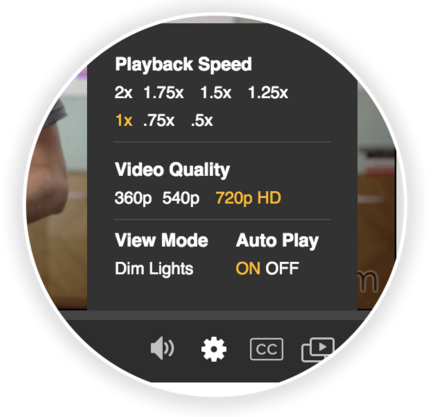 We’ve combined the video controls and settings into one place below your video so they are easier to find. Now while you are watching you can monitor your progress through the lesson and jump backwards with one click if you missed something important. New keyboard shortcuts give you more control over your learning experience. Skip back ten seconds with the arrow. Increase playback speed with arrow. Go to the next video with the key. Toggle the page layout with the key. Studies on memory have shown that without notes to look back on you often forget what you’ve learned within minutes. Now you can read or take notes directly next to your video so you don’t lose your focus and you can record an idea or save a specific place in your course. Hint: Use to open the notebook tab. We’re excited about the new ease of use to help professionals like you be more productive and successful. Our goal is to give you the skills you need to achieve your goals– land a dream job, change careers, start a new business, or stay current in today’s changing world of technology. If you haven’t already, we hope you give Lynda.com a try and we look forward to sharing more updates with you in the future.